In the General Chemistry class that I teach there is homework. I do find that homework is one place where technology can really help. My class currently subscribes to Sapling Learning. For each chapter, there is a set of about 20 problems and students generally have a week to finish these problems. The platform allows me to monitor each student's progress and anticipate difficulties students may be facing with the course material. The problems are not repetitive as each one has been chosen to focus on an important aspect or point within the chapter. The homework also offers an interactive learning experience as it provides hints and explanations. 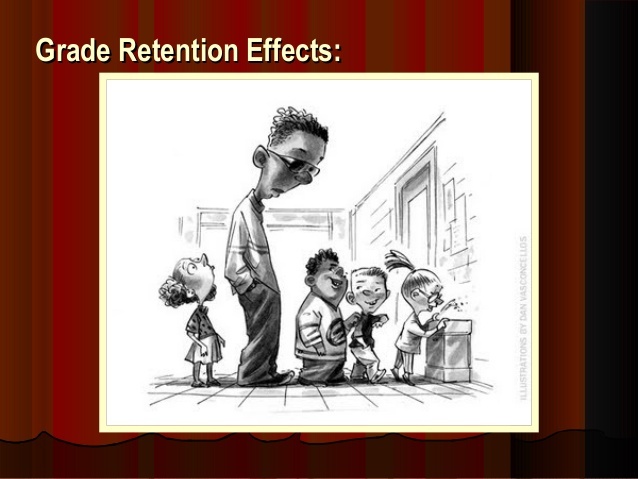 This can indeed benefit learning. 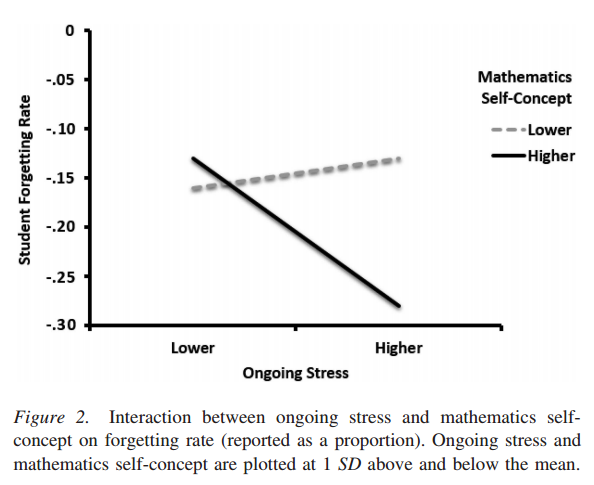 After all, educational psychologists have demonstrated that practice problem solving and distributed practice are the most effective learning techniques. Inquiry-based learning is of course the foundation of doctoral work. One learns strategies not just content as one formulates new and important questions, collects data and makes observations to answer these questions, and in the process, advances human knowledge. For this reason, success in graduate school is weakly correlated with an undergraduate's academic record or scores in standardized exams. Inquiry-based learning requires a great deal of motivation, discipline and independence. Obviously, inquiry-based learning when mentioned as part of basic education is not exactly how a doctoral student works on his or her dissertation. 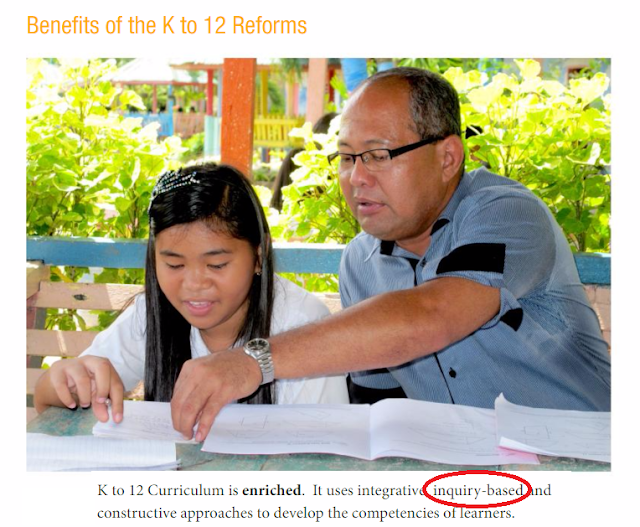 Nonetheless, inquiry-based learning in either elementary or secondary education still requires motivation, discipline and independence. And similar to graduate school, one would expect that doing well in inquiry based-learning is often not correlated with a child's current academic performance. Every morning a group of children leaves the School-Age Child Center at Mason Crest Elementary School to attend classes at another school, Belvedere Elementary, which offers Advanced Academics as well as an International Baccalaureate Primary Years Program. For a child, it must be cool to be seen boarding that bus. 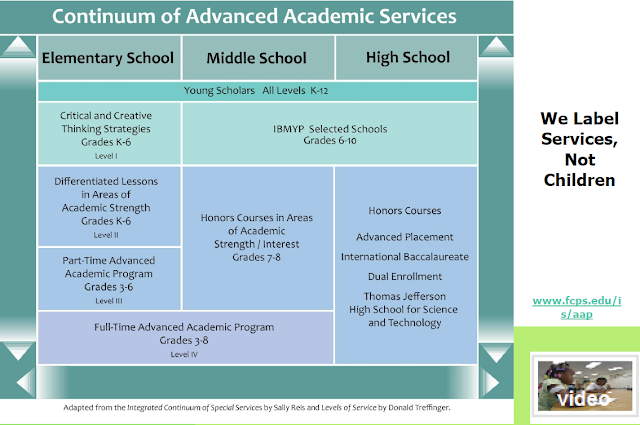 but a brochure from the Fairfax County regarding the Advanced Academics Program seems to try as much as possible to correct that perception. It says: "We Label Services, Not Children". Still, getting into an advanced program does not stop a child or even a child's parent from thinking of being "smarter than others". Labeling services and not the children may actually sound good, but in a recent study in Germany scheduled to be published in the Journal of Educational Psychology, looking at what happens after schooling shows what really counts in a child's self-concept, the certificate. 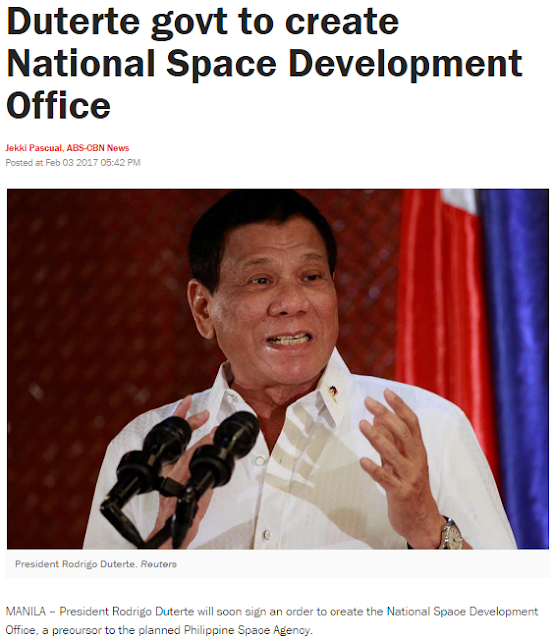 Headlines are often composed to capture people's attention, sometimes without faithfulness to the truth. 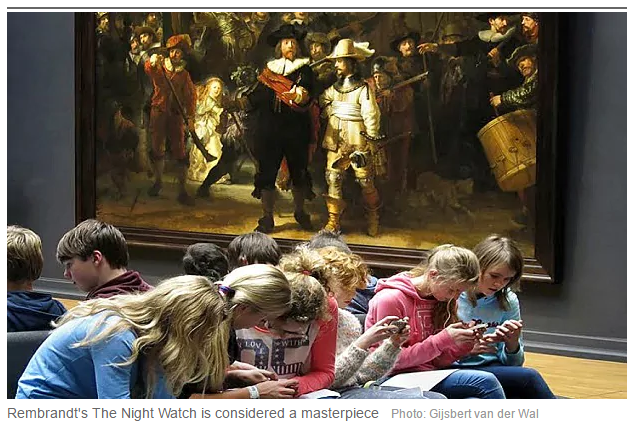 Reading the entire article is usually necessary to extract what is real and what is simply sensational. And when we read, we frequently look for confirmation of our prejudgments. 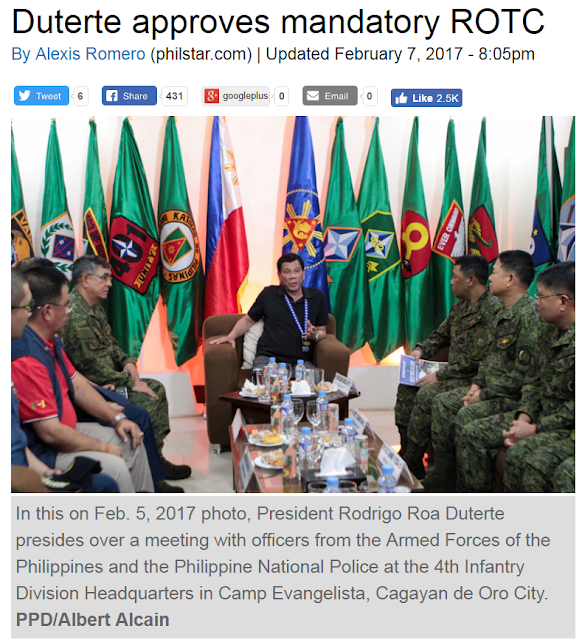 Thus, it is not surprising that even with real news, we tend to gravitate towards the fake pieces of an article. For instance, it is so much easier to believe that schools in the United States for both elementary and high school education are falling behind school systems in other countries. 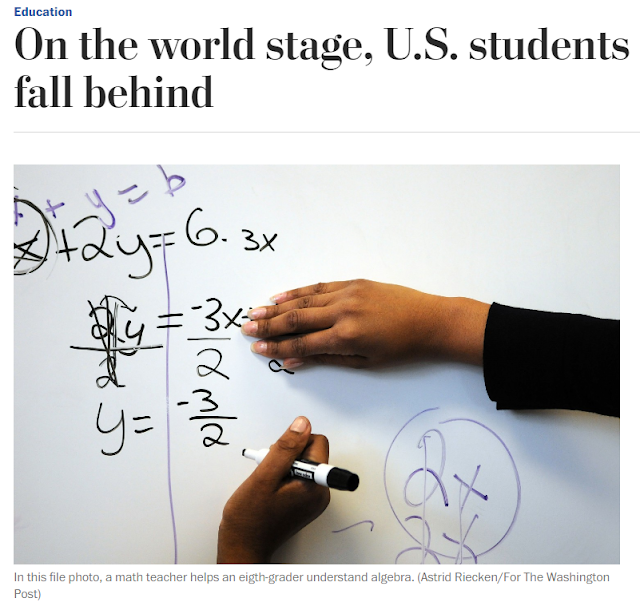 After all, one can easily reach this conclusion by simply looking at one number, the average score of American students in an international standardized exam. Richard DuFour's tenure as head of Stevenson High School in Illnois is uniquely marked with multiple National Blue Ribbon School awards. His life is a true example of actions speaking louder than words. His message for school reform is simple: Work together and make education a reality for all. All means all, no exceptions. 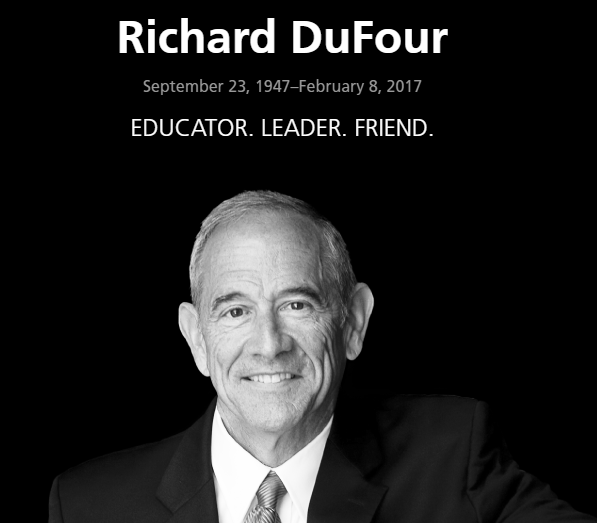 I have not met DuFour in person, but with a few words on an email to the principal of the school my children currently attend, he showed his unrelenting encouragement and support for people who care about basic education: "The blog by your parent could have been written by a Michael Fullan or John Hattie. Incredibly impressive." That meant a lot coming from someone who had not only brought great things to a school or a school district, but had also inspired so many education leaders like our principal at Mason Crest Elementary School. Article XIII of the International Covenant on Economic, Social and Cultural Rights states that education is a basic right. 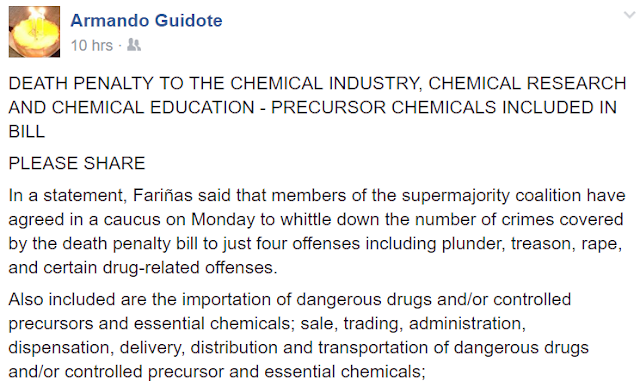 In mentioning education, the treaty explicitly defines education as "enabling a person to participate effectively in a free society". Before the US Supreme Court is a case involving an autistic child. 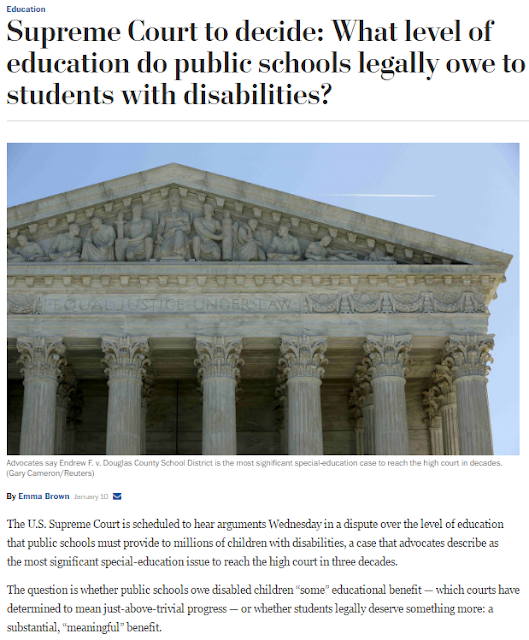 Emma Brown of the Washington Postsummarizes the case in one question: "...whether public schools owe disabled children “some” educational benefit — which courts have determined to mean just-above-trivial progress — or whether students legally deserve something more: a substantial, “meaningful” benefit."